The Olive Oil Lovers team is very happy to announce the launch of our new logo and website! We have been working on this non-stop over the past year and we're so excited to finally share with you! At Olive Oil Lovers, our mission is to source the world's best extra virgin olive oils and work directly with the hard-working farmers, families and entrepreneurs who make them - and our customers love us because of that. The updated website includes changes to navigation and content structure, as well as new and upcoming features we can't wait to share with you! For those of us who prefer to browse and shop on our mobile phones, the new OOL will be sure to please. We've updated the overall look and feel of the mobile website and redesigned the main navigation menu to allow for quick and easy access to our top level categories. It is now faster than ever to jump between categories and browse our products. We organized and updated the content on many of our core pages. 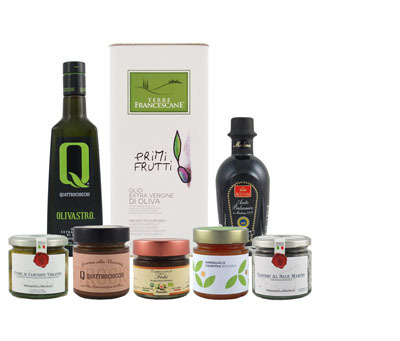 Check out the new " About Olive Oil" and the new "Why Olive Oil Lovers" page. More coming soon! We strive to be a platform where consumers can learn and explore the world of olive oil and see more of what goes on behind the scenes. Here we live, eat and breath olive oil, so this blog post you are reading is the first of many more to come! You asked for a simpler checkout and we've heard you all along. Soon you will have the option to save your payment information to your account, so no more searching around for your wallet every time you order. This new feature works on both desktop and mobile and will make reordering a breeze. We've offered an Olive Oil of the Month Club for years, but we've found some 'lovers just can't seem to get enough of a particular oil, and never want to go through the turmoil (zing!) of running out, so we're now exploring product subscriptions - an option to schedule and automate deliveries of your favorite oil(s) at your preferred frequency, whether it be weekly, monthly, bi-monthly, quarterly, every 7th Thursday… etc. If you have any additional requests, we'd love to hear them! This is just a taste of what's to come in 2018 and have so much more in store we cannot wait to share. Stay tuned!